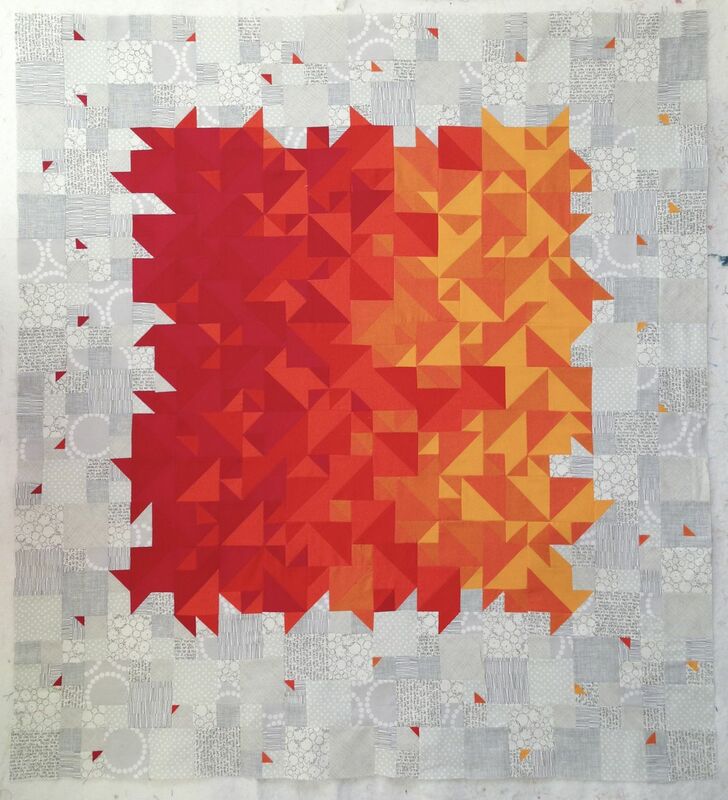 But I’ve been meaning to show you my finished juicy quilt top for a while. I lost the plot slightly and decided to add in some 3/4 inch HSTs after all. Madness, I tell you! It’s about 5ft square, I reckon. I can’t seem to get around to basting it for some reason. Possibly because I have no idea how to quilt it. Any thoughts?